I took part in the Digital Preservation of Federal Information Summit, a pre-meeting of the CNI Spring Membership Meeting. Preservation of government information is a topic that the LOCKSS Program has been concerned with for a long time; my first post on the topic was nine years ago. In the second part of the discussion I had to retract a proposal I made in the first part that had seemed obvious. The reasons why the obvious was in fact wrong are interesting. The explanation is below the fold. One major difficulty in preserving the Federal Web presence is finding it. The idea that all Federal websites live under .gov or .mil, or even that somewhere in the Federal government is a complete, accurate and up-to-date list of them is just wrong. How does a Web crawler know that some random site in .com, .org or .us is actually part of the Federal Web presence? 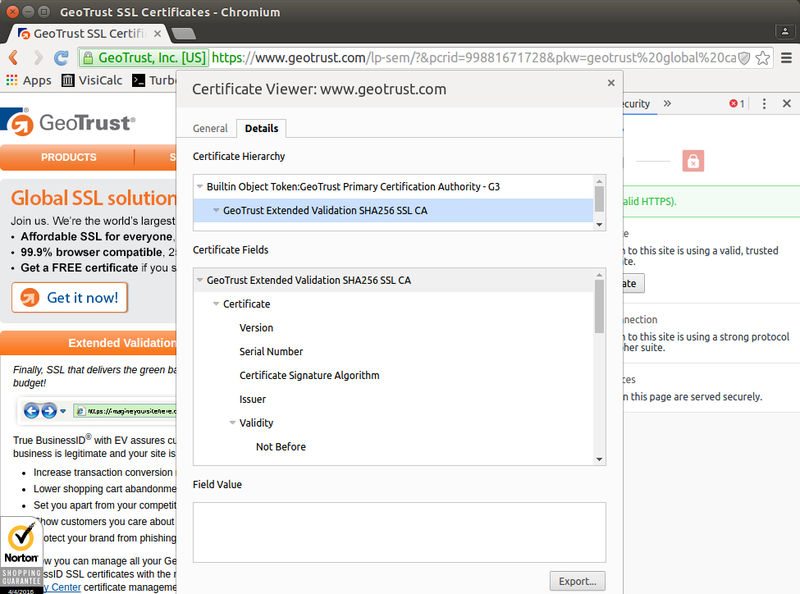 GeoTrust Primary Certification Authority G3, which is a CA browsers trust. The browser trusts all of them equally. The browser trusts CAs that the CAs on the list delegate trust to. Back in 2010, the EFF found more than 650 organizations that Internet Explorer and Firefox trusted. Commercial CAs on the list, and CAs they delegate to, have regularly been found to be issuing false or insecure certificates. Among the CAs on the list are agencies of many governments, such as the Dutch, Chinese, Hong Kong, and Japanese governments. I assumed that the US government would be on the list too. My obvious idea was that government websites outside .gov and .mil could be found by crawling other domains looking for HTTPS sites whose certificate's signature chain ended at the US government root CA. This would solve a big problem for collecting and preserving Federal government information. Alas, I under-estimated the mania for outsourcing government functions to for-profit companies. Entrust Root Certification Authority G2, which is on the browser's trusted CA list. What this means is that the Library of Congress is paying a commercial CA to reassure citizens that their website is what it claims to be, and is secure. Your connection to this site is private, but someone on the network might be able to change the look of the page. 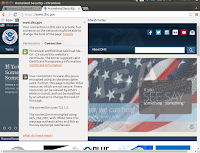 Your connection to www.dhs.gov is encrypted using an obsolete cipher suite. 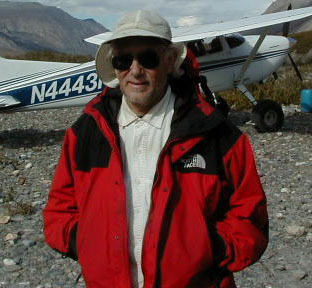 GeoTrust Global CA, which is on the browser's trusted CA list. So the Department of Homeland Security is paying a different commercial CA to reassure citizens that their website is what it claims to be, and that it is not very secure. Why is this? Is it because the Library of Congress believes that Entrust is more trustworthy than the US Government? I hope not, Entrust is one of the CAs whose delegated CAs have been caught issuing bogus certificates. 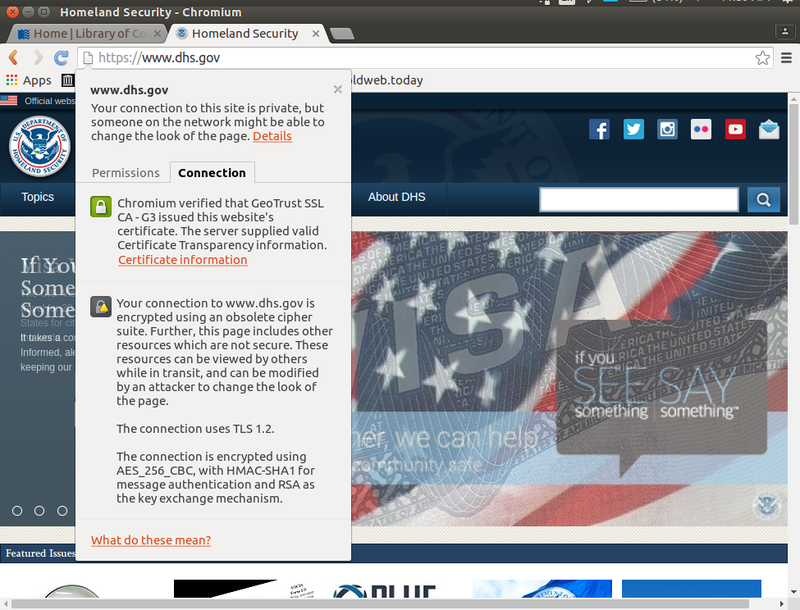 It is because, as far as I can tell, the list of 188 CAs that browsers trust contains no US Government controlled CA. So, your browser trusts the government of the People's Republic of China but not the government of the United States of America! It isn't that the Federal government doesn't trust itself to run a secure root CA. There is a Federal root CA, the Common Policy Root CA, which is clearly regarded as secure since it is used to control access to Federal systems. But it isn't in the browser's list of trusted CAs, so it isn't any use for outward-facing services such as websites. If it was Federal websites could be Federally certified as GeoTrust websites are GeoTrust certified. In what world does this make sense? One in which there's money to be made selling services to the Federal government. By failing to follow the example of other governments by putting a root CA that they control into the list, the government arranges for funds to flow to for-profit companies who can protect the cash flow by lobbying, and arranging a warm welcome on the other side of the revolving door for the decision makers. All the for-profit CAs need to do is to make sure they stay in GSA's list of approved vendors, like DigiCert. So, apart from the waste of taxpayer money, and the failure of my idea for finding government websites, what is the downside of this situation? CAs sometimes misbehave, as DigiNotar and StartSSL did. The result is a dispute between the guilty CAs and the browser vendors, resolved by removing them from the list, as StartSSL was, or by explicitly distrusting their root certificates, as DigiNotar's were. If this happened to one of the CAs Federal websites use, the dispute to which the Feds were not a party would result in the websites using the guilty CA becoming unavailable until the affected certificates could be replaced with new ones from a different CA in GSA's list. The browser vendors control the trusted CA list, so among other things they control citizens' access to government information. Since they're all based in the US, there would be good reasons why they'd be reluctant to remove a US government CA from the list. 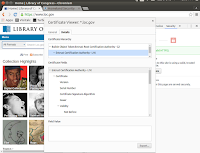 Does the US government operate a publicly trusted certificate authority? No, not as of early 2016, and this is unlikely to change in the near future. The Federal PKI root is trusted by some browsers and operating systems, but is not contained in the Mozilla Trusted Root Program. The Mozilla Trusted Root Program is used by Firefox, as well as a wide variety of devices and operating systems. 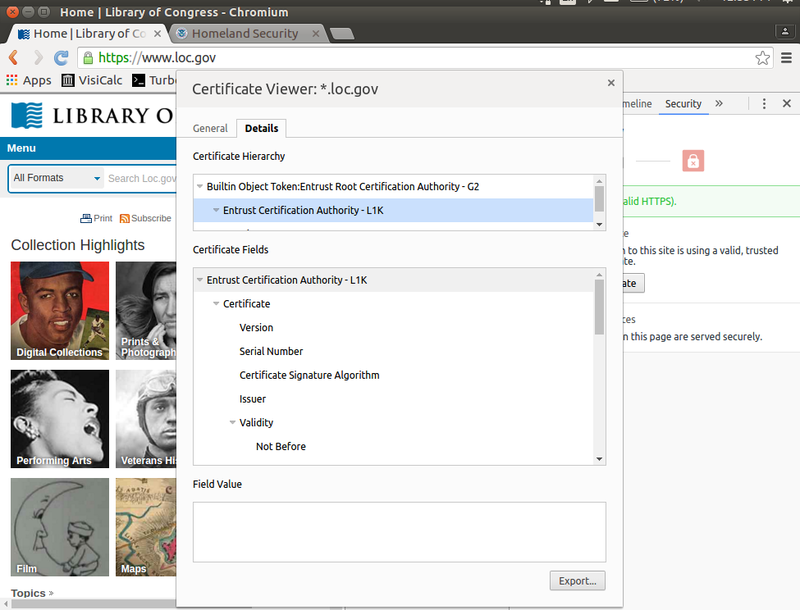 This means that the Federal PKI is not able to issue certificates for use in TLS/HTTPS that are trusted widely enough to secure a web service used by the general public. The Federal PKI has an open application to the Mozilla Trusted Root Program. However, even if the Federal PKI’s application is accepted, it will take a significant amount of time for the Federal PKI’s root certificate to actually be shipped onto devices and propagate widely around the world. Speaking of all-powerful Chinese hackers. Yet more CA malfeasance has been detected. WoSign gave sub-domain owners certificates for the top-level domain. "One of the most fundamental requirements Google and other major browser developers impose on CAs is that they issue certificates only to people who verify the rightful control of an affected domain name or company name. On multiple occasions last year and earlier this month, the Symantec-owned CAs issued 108 credentials that violated these strict industry guidelines, according to research published Thursday by Andrew Ayer, a security researcher and founder of a CA reseller known as SSLMate. These guidelines were put in place to ensure the integrity of the entire encrypted Web. Nine of the certificates were issued without the permission or knowledge of the affected domain owners. The remaining 99 certificates were issued without proper validation of the company information in the certificate." "Symantec has attained Too Big To Fail status. Symantec issues such a huge number of certificates that if a browser manufacturer blacklisted them, the browser would become unusable, and for this reason they are not able to hold Symantec (or Comodo) to account for blatant disregard of the rules." Google has become irritated enough with the incompetence (or worse) of CAs such as Symantec to set up its own root certificate authority. "Google's investigation revealed that over a span of years, Symantec CAs have improperly issued more than 30,000 certificates. Such mis-issued certificates represent a potentially critical threat to virtually the entire Internet population because they make it possible for the holders to cryptographically impersonate the affected sites and monitor communications sent to and from the legitimate servers. They are a major violation of the so-called baseline requirements that major browser makers impose of CAs as a condition of being trusted by major browsers." "Symantec's repeated violations underscore one of the problems Google and others have in enforcing terms of the baseline requirements. When violations are carried out by issuers with a big enough market share they're considered too big to fail. If Google were to nullify all of the Symantec-issued certificates overnight, it might cause widespread outages. The penalties outlined by Sleevi seem to be aimed at minimizing such disruptions while still exacting a meaningful punishment." The reluctance of browser makers to pull the plug on a rogue CA has led to years of insecurity for their users. A temporary inconvenience while sites replaced their certificates with less untrustworthy ones would have been much better, and since it would have put Symantec out of the CA business, it would have been a wake-up call for the others. But no, like the US Fed, Google, Mozilla and Microsoft were too chicken. They're still too chicken, letting an obviously untrustworthy CA be the basis for trust in much of the Internet. At Slate, Joshua Oliver's Google Is Making Sweeping Changes to How We Keep the Internet Safe is an informative, non-technical overview of Google's push for Certificate Transparency. They'll make it mandatory in Chrome by October. "Article 45 1.b, explicitly authorizes the use of "false keys" in third party systems to obtain access to systems and data." Of course, there is no way any of the other CAs that your browser trusts would be doing this, with or without legal authority. Hat tip to Lauren Weinstein. "Certificate compromise appears to have been common in the wild before Stuxnet, and not restricted to advanced threats developed by nation-states. We also found 27 certificates issued to malicious actors impersonating legitimate companies that do not develop software and have no need for code-signing certificates, like a Korean delivery service." "Wyden is frustrated that those agencies are taking their own sweet time. So far, the letter states, only “a small number of DoD websites” (including the Army, Air Force, and NSA) are encrypted. The DoD is also self-signing certificates, something once fiercely defended as a right by Internet utopians, but which now looks anachronistic at best. “Unfortunately, many other sites, including the Navy, Marines, and your own office's website at dodcio.defense.gov, either do not secure connections with encryption or only prove their authenticity with a certificate issued by the DoD Root Authority”. The DoD Root Authority isn't a CA listed as trusted by (for example) the Chrome browser, visitors get security warnings"
"A Thursday report from Netcraft estimates that the .gov websites are using 80 or more expired TLS certificates. ... Funding to renew the certificates is on hold while the shutdown continues. Any of the government websites with an expired cert becomes newly vulnerable to any number of internet-based assaults, including man-in the-middle (MITM) attacks that enable third-party bad guys to intercept what passes between an internet user and a web application on the affected site. Bad guys can eavesdrop on traffic, assume the identity of the government website, and siphon off data input by the user.